Quigley Electric has been providing electrical contracting services from their offices in Okotoks, Alberta since 1971. Read more about our electrical services! Our Electrical Services At Quigley Electric are provided effectively by our family owned and operated company. Our electrical services are catered to by experienced and dedicated staff provide quality electrical services that are 100% guaranteed. 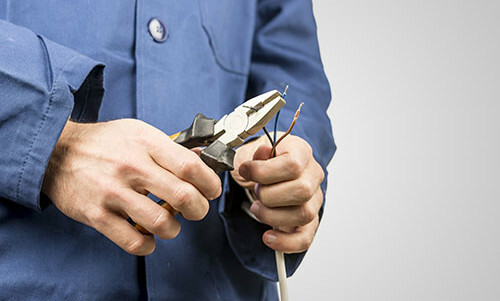 Quigley Electric’s electricians are highly skilled and apply an honest approach to your requirements. We will solve your problems safely and efficiently with industry leading skills, equipment, and technology. All of our projects are performed efficiently, to schedule and to a pre-set budget agreed to by the customer. Quigley Electric believe that honesty is the key to building long-lasting relationships and we aim to maintain these with our approach to customer service. Quigley Electrical’s commitment to safety enables its highly trained technicians to provide work of the highest quality, while maintaining the highest level of safety to all stakeholders involved. Call Quigley Electric at 403 938 4570 or Contact Us with questions about your electrical problem or service requirements. We can schedule a consultation and provide a fully specified quote.